I used to use Zonalarm. Then it turned into an ugly monster that had only one mission, make your computer slow down to a craw. I'll bet Avast will do the same think having turned into bloated malware. Now using an other antivirus. Avast is the very definition of Malware! I wrongly gave StopUpdates10 a bad review 2 weeks ago when the Real problem was Avast! Should be listed in downloads under "Buggy Spyware and Malware for FREE"
Have tried it on several occasions, same story works for a bit then screws up. No more trials, end of story. This software is dangerous. Don't use it!!! What a load of crap, adware at every turn, and just to think, along with Ad Aware, and SpyBot, Avast! was at one time a pioneer in alternative (meaning free) AV. Now it's all about the money. BetaNews, could you also please put a link for the full off-line version? This is possiby the best and top-rated FREE anti virus software. Had a problem installing this on my windows 10 system, even after granting it elevated firewall permission, the avast service froze, and the avast repair module was useless. I can find no fault with Avast. I am running Win10 and it has performed perfectly. The logo in the tray flashes when it is scanning, checks Email scans at boot, web pages, I like it better than the stock Win Defender. PC mag is bought and paid for want to see real test ? Pros: Was good while it lasted, as in before the annoying popups. Cons: It's almost has become trial ware. At the moment it's in its adware form. I'm sure it will stop being free.It even would hijack the browser home page. Don't know if it still does simply because I don't use the "extras". Bottom Line: I used to use Zonalarm. Then it turned into an ugly monster that had only one mission, make your computer slow down to a craw. I'll bet Avast will do the same think having turned into bloated malware. Now using an other antivirus. Pros: Can easily recommend this to my enemies! Cons: Cannot recommend to friends! 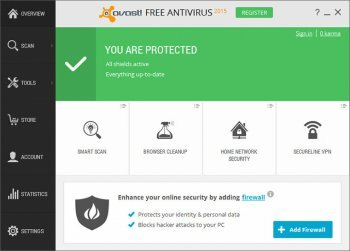 Bottom Line: Avast is the very definition of Malware! Pros: Installs easy enough, when it works it seems efficient enough. Cons: Bloated, works for a while then starts to misbehave, service not running, shields turned off, restarting it works for a bit then starts all over again. Bottom Line: Have tried it on several occasions, same story works for a bit then screws up. No more trials, end of story. This is the top rated free AV according to PC Magazine. The actual version of this newly released program today is 12.1.2276 not 72 as it is mentioned here. previously i am used Avast and I messed up with so many issues in my PC. It started suspecting normal files as virus. 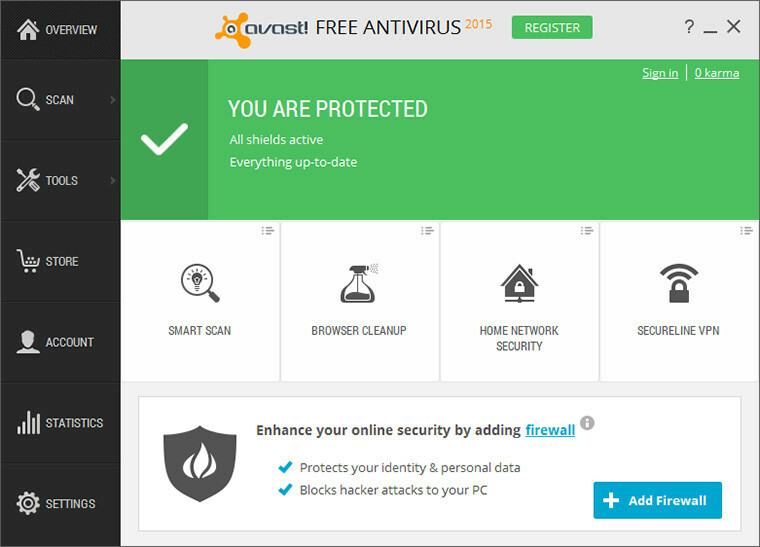 So i uninstalled avast and went to Comodo Free Antivirus and it seems to be good. This software used to be better. Too many false positives and no support unless you pay. Fresh installs of Wordpress are blocked because of HTML:Script-inf. Then Avasts asks to upgrade for more protection.